To coincide with the exhibition London’s Growing… Up! 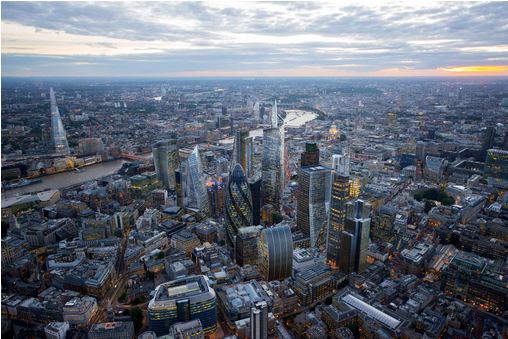 The rise and rise of London’s tall buildings, independent think tank, New London Architecture (NLA) have conducted an in-depth poll in conjunction with Ipsos MORI, to establish how Londoners really feel about the increasing number of tall buildings planned for their capital. The Norman Foster-designed 30 St Mary Axe, better known as the Gherkin, was chosen as Londoners’ favourite building with 36 per cent from a selection of 13 tall towers. Western Europe’s tallest building, The Shard, ranked in second place and newcomer to the London skyline, The Leadenhall Building (nicknamed the Cheesegrater) ranked third. The historic Barbican was chosen as Londoners least favourite tall building. When asked to consider the number of tall buildings in the capital relative to the 23 built in the past five years, 45% felt that tall buildings had improved the London skyline. 40 per cent disagreed that there are too many tall buildings in London. Whether the design fits in with the London skyline topped the list of Londoners’ priorities when constructing new towers. 53 per cent chose this as their highest or second highest priority. Design and affordability were also priorities, 35% chose whether it has good design and 32 per cent felt affordable housing was a necessity in new towers. Young Londoners’ let design take a backseat than the older demographic with their priorities focused on whether the new towers could offer new job opportunities. Most Londoners didn’t aspire to live in tall buildings. Young men proved the most likely to want to live in towers but were still heavily outnumbered by those not wanting to move upward. The figures also showed that seven out of ten over 34’s were unwilling to live in the high-rise towers. When it came to work however – 61 per cent of Londoners were happy to work in tall buildings, rising to 72 per cent amongst the younger demographic. 26 per cent wanted to see more tall buildings being built than in the last five years although 37 per cent of Londoners wanted to see fewer. Inner Londoners wanted the construction of fewer tall buildings than those that live in the outer suburbs and more men voted for an increase in tall buildings than women. When asked if enough was being done to control the construction of tall buildings, the vote was pretty evenly split – 31 per cent yes and 26 per cent no, with the rest unsure. 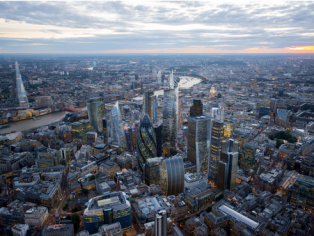 The results of this poll follows fresh on the heels of an NLA and GL Hearn building survey, released at MIPIM, which found that there are at least 236 towers above 20 storeys currently planned for the London.